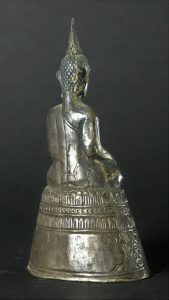 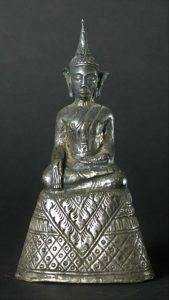 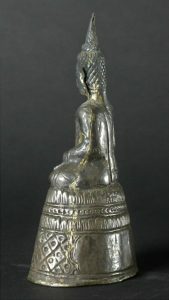 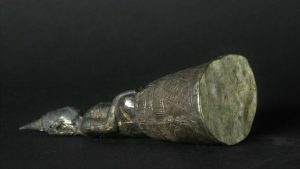 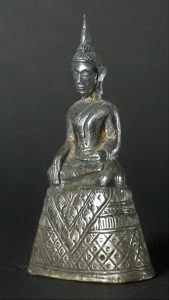 Silver couverd Thai Buddha probably 19th century or earlier.Bhumisparsa Mudra in Ayuthaya style. 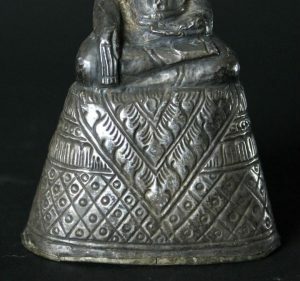 Amazing face with some red on the mouth. 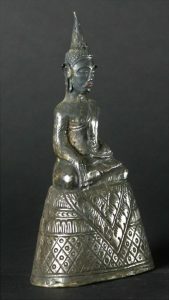 In perfect codition.